The avalanche forecast is designed for people who have taken an avalanche awareness class or preferably an Avalanche Level 1 course. This page explains the basic concepts of the advisory and how to read it. The first section shows the danger rating by elevation and a bottom line summary. This provides a general overview and broad travel advice for three elevation bands with language intended for public users of all levels of experience. This is intended to provide an initial impression of conditions. The rest of the advisory gives more specific avalanche information you will need for more specific trip planning decisions. For a tutorial on danger ratings click HERE. 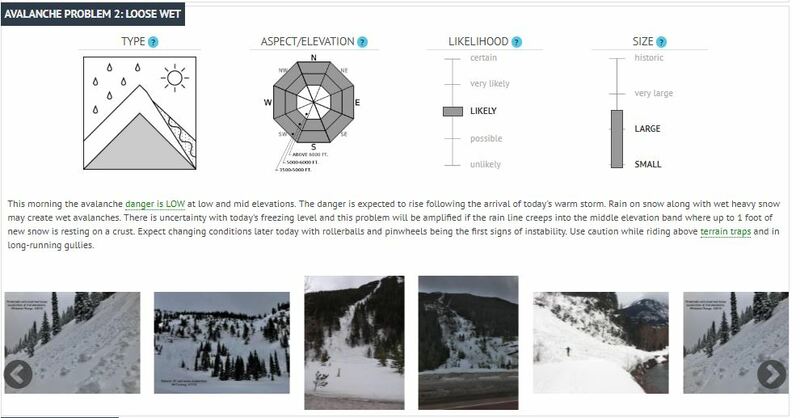 The next section describes the most threatening and/or common avalanche problems expected for the day. This video provides a brief tutorial of avalanche problems. The infographics show the avalanche type, distribution, likelihood, and size. The text further describes the characteristics, cause, timing, location, and management strategies for the problem. The photo gallery is updated with recent or relevant images to show what the avalanche problem or signs of instability might look like in the backcountry. Type: Avalanche characteristics fall on a continuum, but for the purpose of simplifying travel advice, we define them into one of 9 avalanche types, defined here. Each avalanche type has different travel advice, signs of instability, and terrain management strategies. Distribution: The distribution rose represents the spatial distribution of a particular avalanche problem across the topography. The identified avalanche problem is most likely to exist in sectors colored grey. Exceptions and outliers are always possible. You can visual the rose as a 3-dimensional, cone-shaped mountain divided into 8 aspect octants and 3 elevation bands. time period. 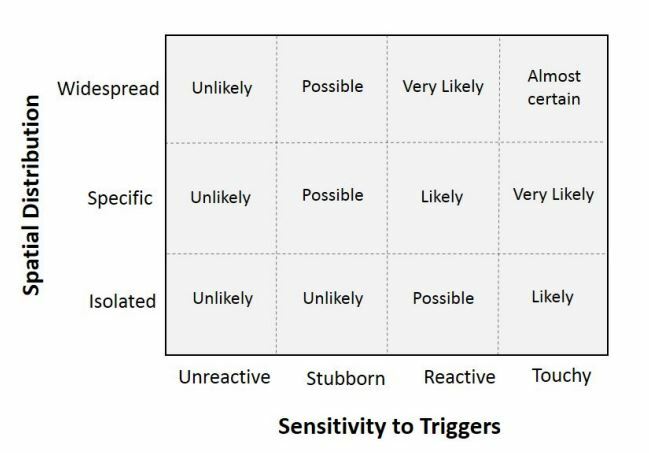 Two factors are integrated to define the likelihood: 1) Sensitivity to triggers and 2) Spatial Distribution. Terms such as ‘unlikely’, ‘likely’, and ‘certain’ are used to define the scale, with the chance of triggering or observing avalanches increasing as we move up the scale. For our purposes, ‘Unlikely’ means that few avalanches could be triggered in avalanche terrain and natural avalanches are not expected. ‘Certain’ means that humans will be able to trigger avalanches on many slopes, and natural avalanches are expected. Size: The size slider shows the expected destructive potential of an avalanche. The size is defined by the expected range of sizes up to the largest potential avalanche for the problem in question. Outliers are possible. The destructive size is influenced by terrain features: longer, steeper paths are capable of producing larger avalanches under the same avalanche characteristics found on smaller slopes. 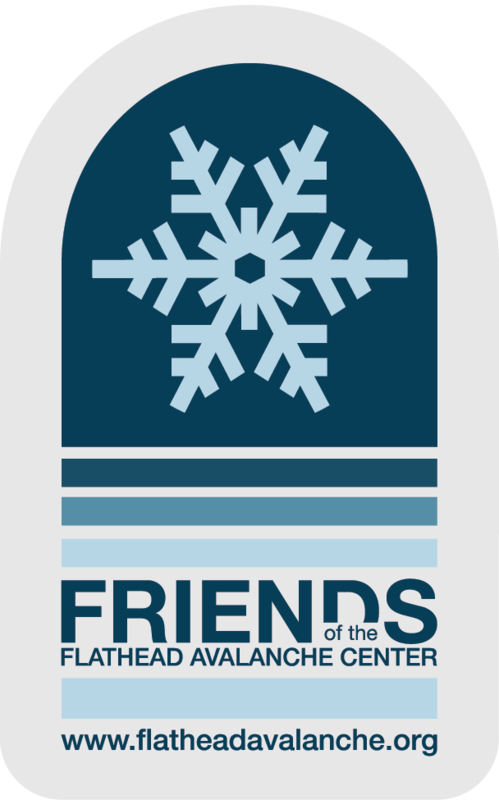 The discussion section provides additional insight into the weather and snowpack observations driving avalanche conditions as well as supplemental travel advice. Additionally, the blue buttons link to our current observations or observation submission form. 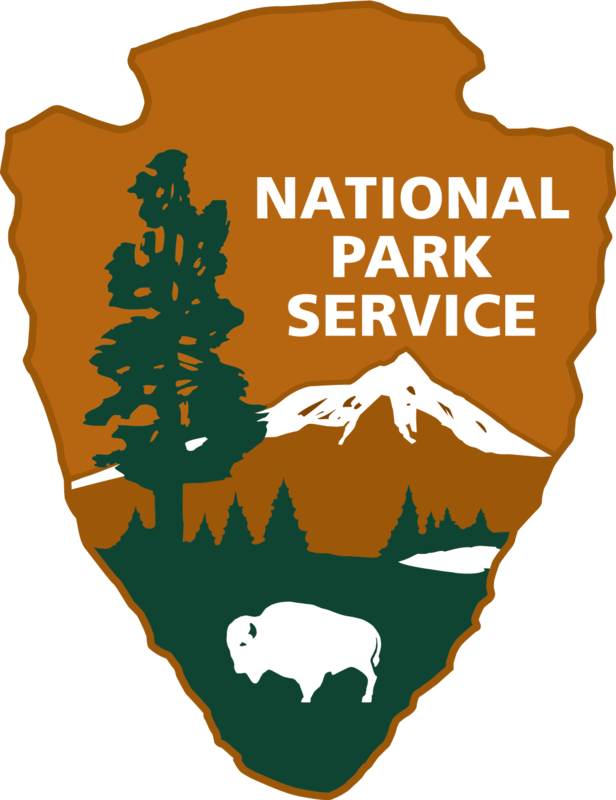 The weather section provides a synopsis of current and forecasted weather events, along with numeric weather forecasts for 6,000 feet. 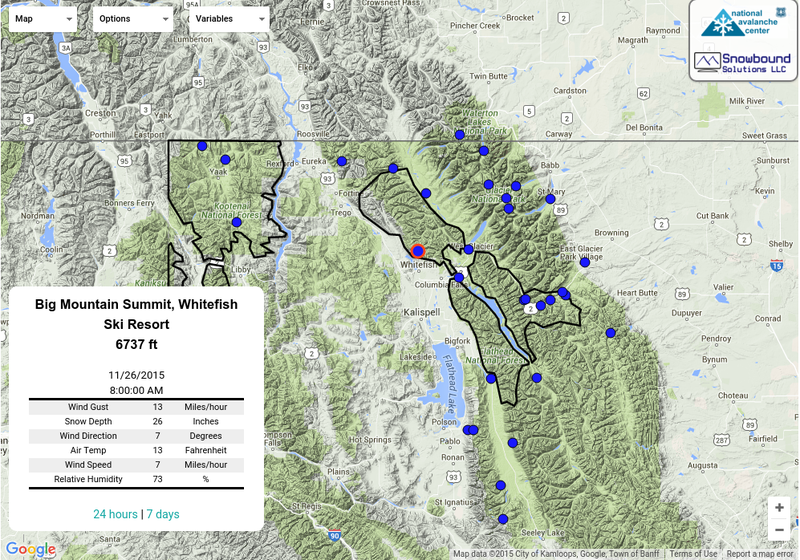 The blue buttons link to current weather data in map or tabular form.